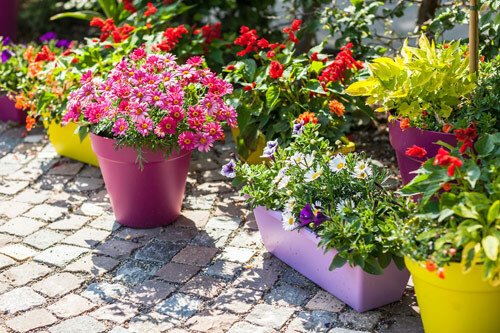 Here are a few easy tips on how to maintain your potted garden. Grooming tips - Keep floral dead flowers removed. It not only makes the plant look better but it encourages them to flower again. If the foliage looks like it is growing out of shape or off on one side, cut back the branches so they look better and not knarly. Use small scissors to keep any topiary looking trimmed and leaves & stems from poking out. Watering Schedule - When it comes to when and how long to water your potted garden it really depends on the weather conditions you find yourself experiencing. If it's really hot outside you need to water every day. 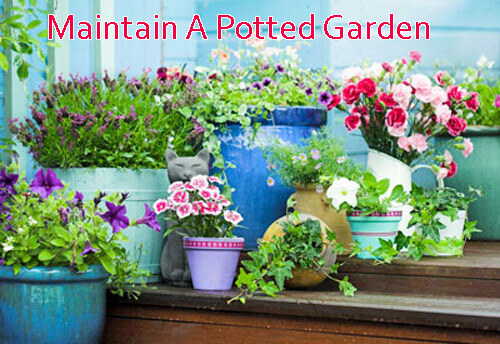 Soak the potting soil till completely moist and water comes out the drain hole of the planter. If it's cooler weather you should water every other day or so depending on the weather. Light colored containers hold water longer. 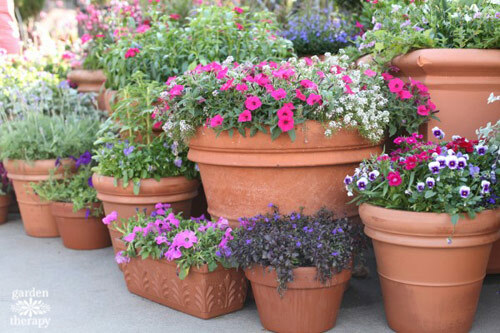 Terracotta is porous so it seeps out faster and needs to be watered more often. A poly resin planter holds water longer. 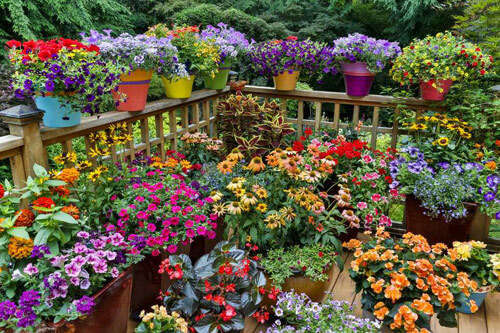 Knowing when and how to take care of your potted garden makes the job so much easier and enjoyable. As the garden season ends you may have to move some planters to a shed or garage for protection. 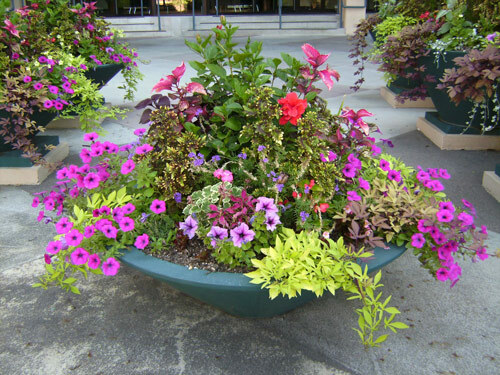 Cut down the plants that require it and understand that when the season is over for some annuals it's over and all you can do is take them out of the pots and compost them. 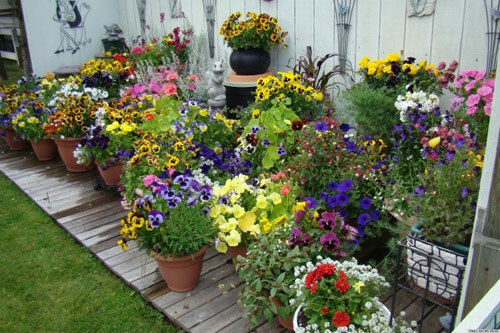 Store you garden containers indoors till next Spring when you can bring them out, wash them and plant again. [Read More] Grow your own spa.